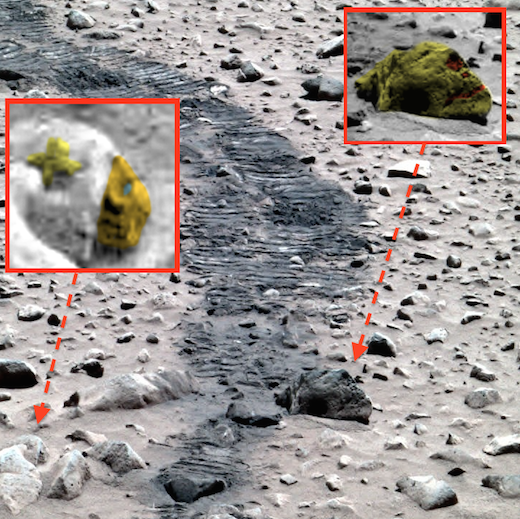 UFO SIGHTINGS DAILY: More Alien Artifacts Ran Over By Spirit Rover, Dec 26, 2015, Photos, UFO Sighting News. 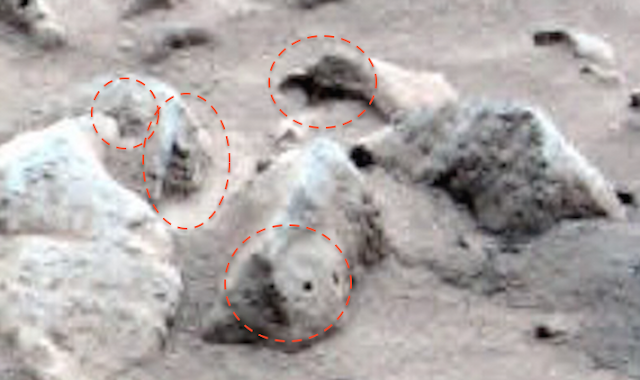 More Alien Artifacts Ran Over By Spirit Rover, Dec 26, 2015, Photos, UFO Sighting News. I found some faces and a interesting star near the Mars rover tracks. 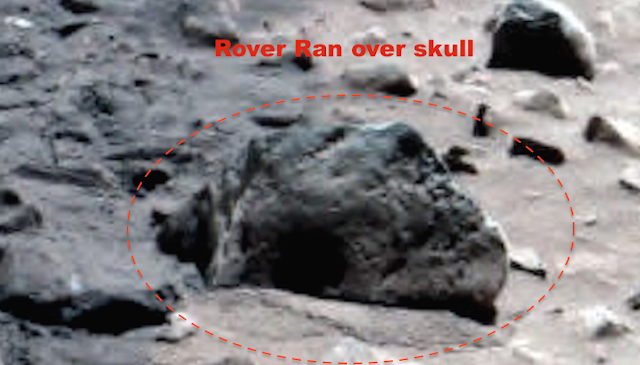 I also noticed that there was an ancient skull that was run over by the rover. 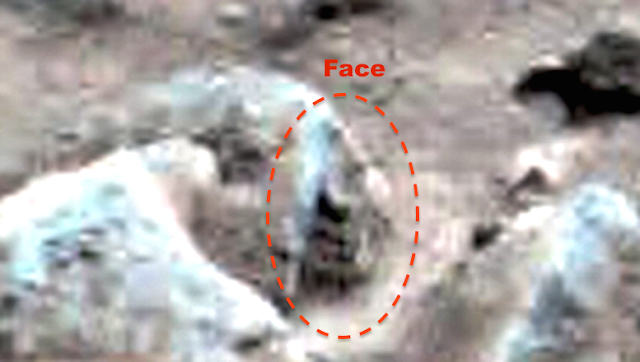 This skull was badly burned and very large. The rover drove over its forehead area damaging it. I really wonder how many ancient archeological evidence that the rover has destroyed on Mars?